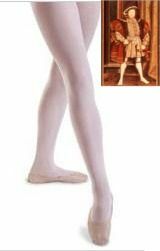 the standard for all Tudor outfits, tights were worn under any dress tunic or gown from the period. Worn by Dandys and horsemen alike, the standard cavalier pant were vents at the sides, military style. the vent was released while mounted to allow better movement. the perfect choice for any buccaneer, these pants are classic unto any period.